November 25, Sunday—The Innovation for Social Impact Partnership and United Nations Development Program Philippines (ISIP-UNDP) visited Davao for the first time! 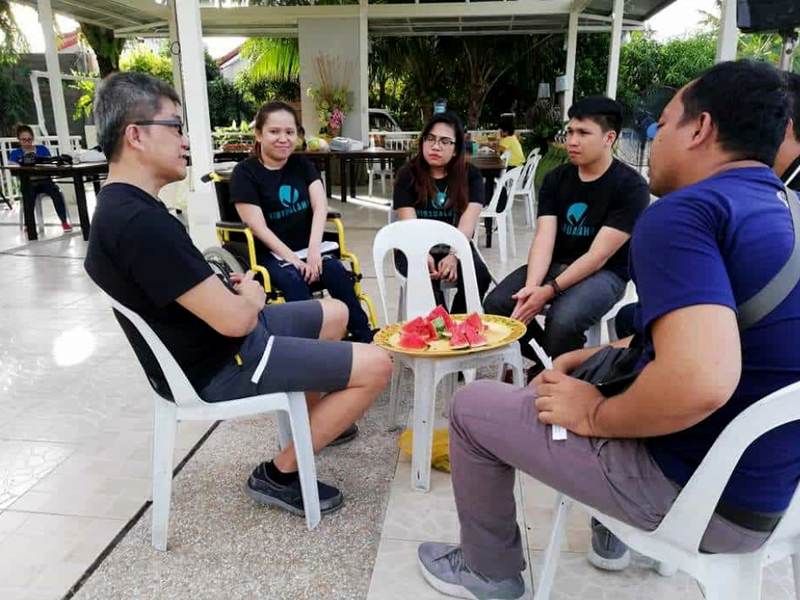 The ISIP-UNDP team got to meet our Virtualahan community members and experience the in-person well-being session and hear about the actual lived lives of our graduates. Their struggles, successes and how Virtualahan came into picture and became an important avenue of digital training, employment and community support were shared by all the attendees. It was a heartwarming and heartfelt reality check of the actual experiences lived by people with disabilities which, in many ways, have been neglected and forgotten by many. Virtualahan, being a social enterprise that champions social inclusion, especially of people with disabilities, in the work field is part of the 10 Filipino-based startups has been awarded by PhilDev to be the recipient of skills business upscaling and updating through the ISIP-UNDP lectures and workshop series. The second guest for this month’s VirtualahanTV is Ms. Charina Tenajeros. She appeared in VTV last November 26 (Monday) with Coach Billie Bautista. Charina lost her hearing at a tender age of nine (9) due to meningitis. As the sickness progressed so as her hearing loss which eventually made her stone deaf. Her life changed over time and she had to cope up by learning new ways to communicate to other people. She learned sign language and used her hands to say the words she could not utter. She did not stop in learning through life and overcoming the pits along the way. She is smart, brave, and determined. Virtualahan family wants to congratulate our very own Coach Rose for bravely bringing into the world Baby Max. Even in her pregnancy and the early months of motherhood Coach Rose has always been there for all of us. We are happy that a new generation of community builders is coming our way. Early this month, VirtualahanTV started the program with informing the public with the medical condition that has affected over 125 million people worldwide. Psoriasis is a chronic and systemic disease characterized by itchy plaques of raised red skin covered with thick silver or white-colored scales. It is usually found in the scalp, elbows and knees and often affects other parts of the body. People living with such condition experience different inconveniences, complications and other emotional and psychological baggage. 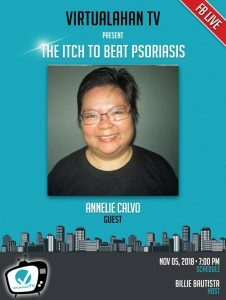 Annelie Calvo, our brave and lively community member, got to share her story last November 5 (Monday) especially on how she, with her positive spirit, beat psoriasis. For Virtualahan’s BIG 3rd birthday, surprises await those who are taking the mile to visit our home turf— Davao City. This is why our internal team, coaches Josh, Rose and Ryan, sees to it that we only get the best in our holiday and anniversary celebration. They visited our anniversary venue at Uraya Beach in Kaputian, Island Garden City of Samal last November 4.